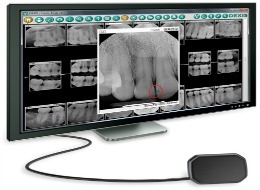 Do You Need an Endodontic Therapy Referral? Endodontic Therapy is a specialized area of dentistry that treats the inside or the pulp of the tooth. Advanced Endodontics in Beverly Hills are the specialists in pulp therapy treatment and if you are dealing with a toothache that just won’t budge, you need to schedule an appointment with your dentist for an endodontic therapy referral. If you are experiencing sharp pain when you chew it could mean a cracked or chipped tooth, a cavity, or all three. Tooth pain when you eat means that you may have an infection in the pulp of your tooth. If this has happened to you, you may need root canal therapy. According to Advanced Endodontics of Beverly Hills, f you experience sensitivity when you expose your teeth to cold and hot foods and drink, you could have a cracked, chipped, or infected tooth. 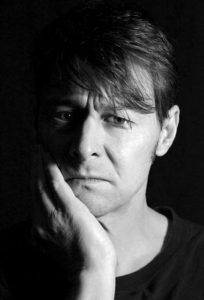 Leaving sensitive teeth to their own devices could cause more serious issues including a dangerous abscess. If this is happening to you, call your dentist for an endodontic therapy referral. If your gums are tender, swollen, red or bleeding it could be an indication that something more serious is going on with your teeth. An infection inside of your tooth could spread to your gums and bone. An abscess in your tooth will usually require endodontic therapy. In some cases, you may not experience any symptoms at all. When the pulp has degenerated and the nerves have died, you will not be in pain. However, that infected tooth could cause problems with other teeth or pain in the ears, neck, or head. Ignoring a toothache or avoiding a chipped or cracked tooth repair because it doesn’t hurt could cause serious complications. Don’t let it happen to you. Call or click and schedule an appointment with your dentist for an Advanced Orthodontics Beverly Hills referral. The sooner you take care of the problem the better. Schedule an appointment with your dentist for an Endodontic referral today.